MS Word stands for Microsoft Office Word. Microsoft Word (or simply Word) is a word processor developed by Microsoft. It was first released on October 25, 1983. The name of ms word at that time was Multi-Tool Word for Xenix system. Subsequent versions were later written for several other platforms including IBM PCs running DOS (1983), Apple Macintosh running the Classic Mac OS (1985), Microsoft Windows (1989), OS/2 (1989), Microsoft Windows(1989). SCO Unix (1994), and macOS (formerly OS X; 2001). In Word there are also many version from the beginning of the word page from the beginning. There are many versions like Word 97 / word 98 / Word 2000 / Word 2002 / Word 2003 / Microsoft word 2007 / Word 2010 / Word 2013 / Word 2016 / Word 2019. 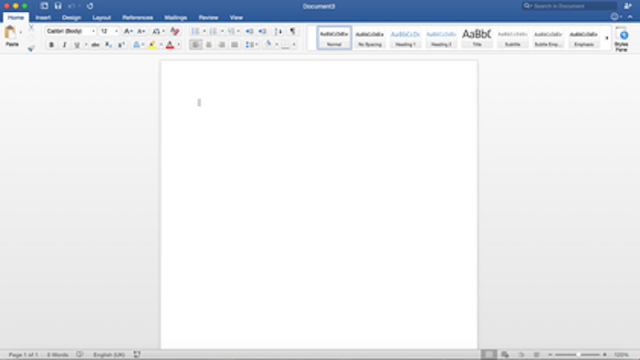 The latest updated version of the Microsoft office word is Word 2019. Click on " start button" and go to "Search" option. A search dialogue box will open, now write " MS Word" or if MS Word (Microsoft office Word 2007/ Microsoft office Word 2010/ Microsoft office Word 2016 / Microsoft office Word 2019). 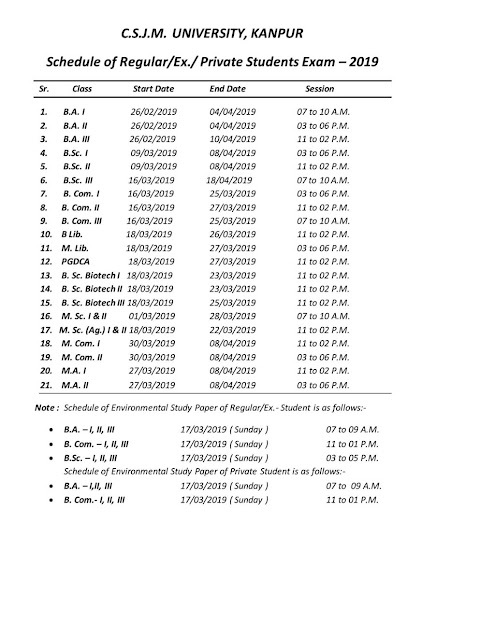 Now click on MS Word (Microsoft office Word 2007/ Microsoft office Word 2010/ Microsoft office Word 2016 / Microsoft office Word 2019). Your MS Word will appears on the computer screen. Click on the right mouse button on the computer screen, a drop down dialogue box will appears on the screen. Select the MS Word (Microsoft office Word 2007/ Microsoft office Word 2010/ Microsoft office Word 2016 / Microsoft office Word 2019). Your MS Word will become open. Click on the "start button" on the bottom left corner of the computer screen. In 1981, Microsoft hired Chales Simonyi, the primary developer of Bravo, the first GUI word processor, which was developed at Xerox PARC. Simonyi started work on a word processor called Multi-Tool Word and soon hired Richard Brodie, a former Xerox intern, who became the primary software engineer. Microsoft announced that the Multi-Tool Word for Xenix and MS-DOS in 1983 issue of PC World, making it the first to be distributed on-disk with a magazine. That year Microsoft demonstrated Word running on Windows. Unlike most MS-DOS programs at the time, Microsoft Word was designed to be used with a mouse. Microsoft steadily improved the product, releasing versions 2.0 through 5.0 over the next six years. In 1985, Microsoft ported Word to the classic Mac OS ( known as Macintosh System Software at the time). This was made easier by Word for DOS having been designed for use with high-resolution displays and laser printers, even though none were yet available to the general people. The second release of Word for Mac OS, shipped in 1987, was named Word 3.0 to synchronize its version number with Word for DOS; this was Microsoft's first attempt to synchronize version numbers across platforms. Word 3.0 included numerous internal enhancements and new features, including the first implementation of the Rich Text Format(RTF) specification, but was plagued with bugs. Within a few months, Word 3.0 was superseded by a more stable Word 3.01, which was mailed free to all registered users of 3.0. After MacWrite Pro was discontinued in the mid-1990s, Word for MacOS never had any serious rivals. Word 5.1 for MacOS, released in 1992, was a very popular word processor owing to its elegance, relative ease of use and feature set. Many users say it is the best version of Word for MacOS ever created. In 1986, an agreement between Atari and Microsoft brought Word to the Atari ST under the name Microsoft Write. The Atari ST version was a port of Word 1.05 for the MacOS and was never updated. Basically the features of Word for Windows have different features which was regarding as the features inbuilt in the computer or we can say the compatibility of the computer or the status of the computer which we are using. All the computer have their own configuration, and all the apps we can install in our computer is as per regarding our computer configuration. 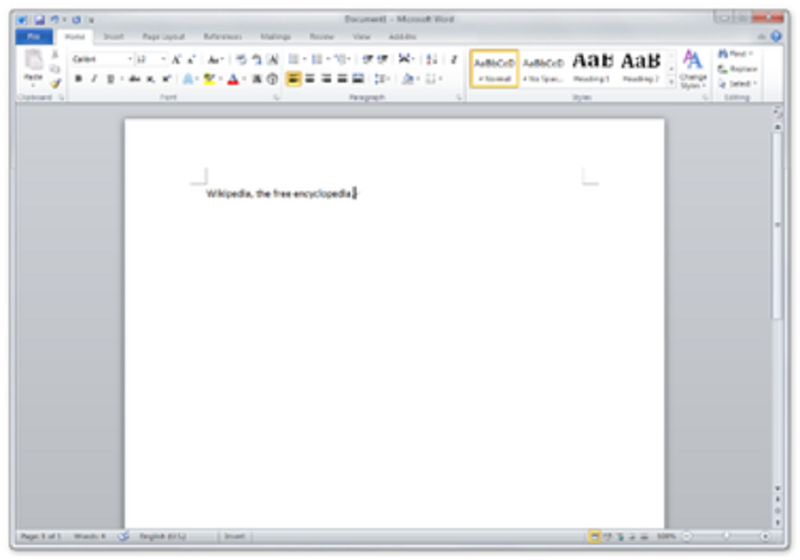 Word for Windows is available stand-alone or as part of the Microsoft Office suite. Word contains rudimentary desktop publishing capabilities and is the most widely used word processing program on the market. Word files are commonly used as the format for sending text documents via e-mail because almost every user with a computer can read a Word document by using the Word appication, a Word viewer or a word processor that imports the Word format. In 1977, Microsoft formed the Macintosh Business Unit as an independent group within Microsoft focused on writing software for MacOS. 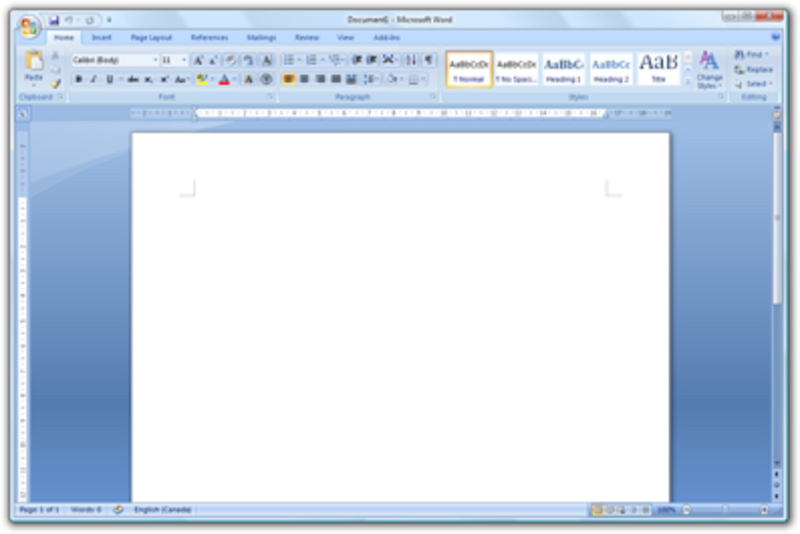 Its first version of Word, Word 98, was released with Office 98 Macitosh Edition. Document compatibility reached parity with Word 97, and it included features from Word 97 for Windows, including spell and grammar checking with squiggles. Users could choose the menus and keyboard shortcuts to be similar to either Word 97 for Windows or Word 5 for MacOS. 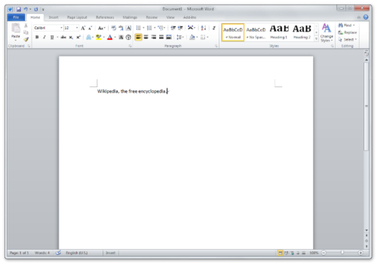 Word 2001, released in 2000, added a few new features, including the Office Clipboard, which allowed users to copy and paste multiple items. It was the last version to run on classic MacOS and, on MacOS X, it could only run within the Classic Environment. Word X, released in 2001, was the first version to run natively n, and required, MacOS X, and introduced non-contiguous text selection. Word 2004 was released in May 2004. It included a new Notebook Layout view for taking notes either by tying or by voice. Other features, such as tracking changes, were made more similar with Office for Windows. Among all the features of the MS Word, Word includes a built-in spell checker, a thesaurus, a directory, and utilities for manipulating and editing text. The following are some aspects of its feature set. Several later versions of Word include the ability for users to create their own formatting templates, allowing them to define a file in which the title, heading, paragraph, and other element designs that are unique from the standard Word templates. Users can find how to do this under the Help section located near the top right corner (Word 2013 on Windows 8). Normal.dot is one of the example of the Word templates. Normal.dot is the master templates from which all Word documents are created. It determines the margin defaults as well as the layout of the text and font defaults. Although normal.dot is already set with certain defaults, the user can change normal.dot to new defaults. This will change other documents which were created using the templates, usually in unexpected ways. 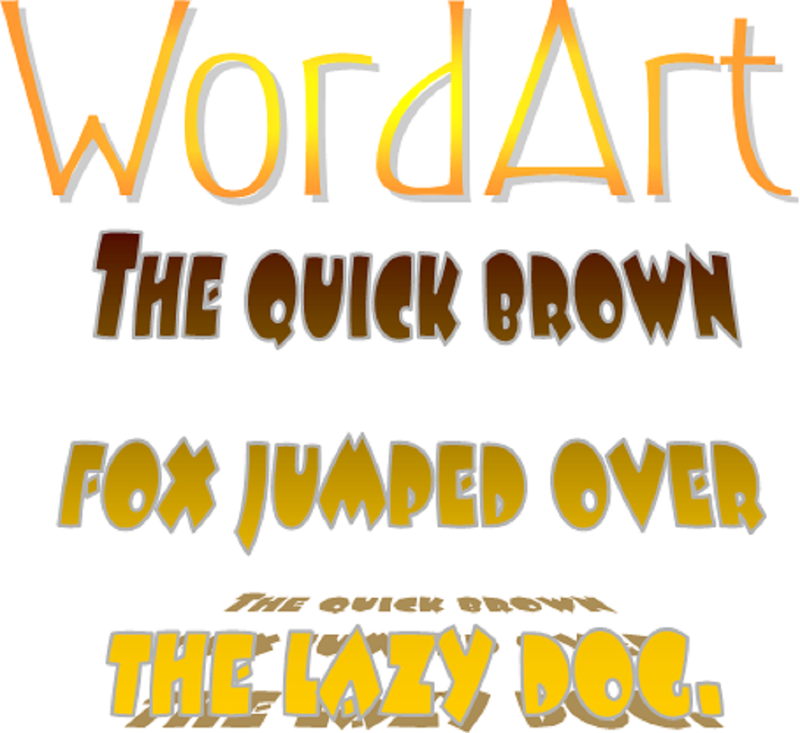 WordArt enables drawing text in a Microsoft Word documents such as a title, watermark or other text, with graphical effects such as skewing, shadowing, rotating, stretching in a variety of shapes and colors adn even including three-dimensional effects. User can also spell-check text that uses visual effects, and add text effects to paragraph styles. A Macro is a rule of pattern that specifies how a certain input sequence (often a sequence of characters) should be mapped to an output sequence according to defined process. Frequently used or repetative sequences of keystrokes and mouse movements can be automated. 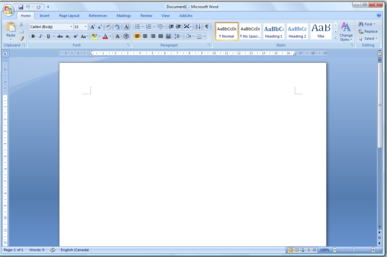 Like Microsoft Office documents, Word files can include advanced macros and even embedded programs. The language was originally WordBasic, but changed to Visual Basic for Applications as of Word 97. Word's macro security setting, which regulates when macros may execute, can be adjusted by the user, but in the most recent version of Word, is set to HIGH by default, generally reducing the risk from macro-based viruses, which have become uncommon. Before Word 2010 (Word 14) for Windows, the program was unable to correctly handle ligatures defined in TrueType fonts. Those ligature glyphs with Unicode codepoints may be inserted manually, but are not recoginzed by Word for what they are, breaking spell checking, while custom ligatures present in the font are not accessible at all. Since word 2010, the program now has advanced typesetting features which can be enabled. OpenType lligatures, kerning, and hypernation. Other layout deficiencies of Word include the inability to set crop marks or thin spaces. Microsoft Word supports bullet lists and numbered lists. It also features a numbering system that helps add correct numbers to pages, chapters, headers,footnotes and entries of tables of content, these numbers automatically change to correct ones as new items are added or existing items are deleted. Bullets and numbering can be applied directly to paragraphs and convert them to lists. Word 97 through 2003. however, had problems adding correct numbers to numbered lists. In particular, a second irrelevant numbered list might have not started with number one, but instead resumed numbering after the last numbered list. Although Word 97 supported a hidden marker that said the list numbering must restart afterwards, the command to insert this marker (Restart Numbering command) was only added in Word 2003. However, if one cut the first item of the listed and pasted it as another item, e.g. fifth, the restart marker would have moved with it and the list would have restarted in the middle instead of at the top. According to Ron Fein of the Word 97 team, AutoSummarize cuts wordy copy to the bone by counting words and ranking sentences. First, AutoSummarize identifies the most common words in the document (barring "a" and "the" and the like) and assigns a "score" to each word - the more frequently a word is used, the higher the score. Then, it "averages" each sentence by adding the scores of its words and dividing the sum by the number of words in the sentence - teh higher the average, the higher the rank of the sentence. "It's like the ratio of wheat to chaff," explains Fein. 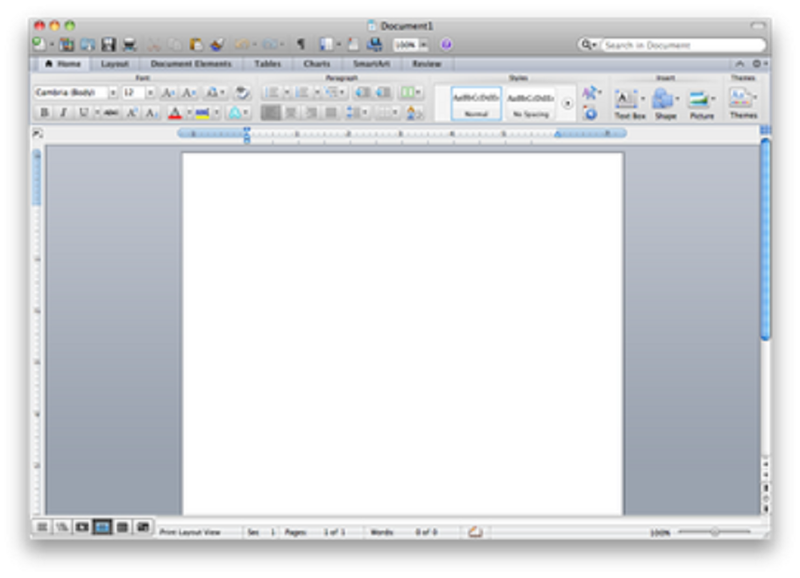 AutoSummarize was removed from Microsoft Word for Mac OS X 2011, although it was present in Word For Mac 2008. AutoSummarize was removed from the Office 2010 release version 14 as well. 1. Click the right mouse button on the image. 2. Now a dialogue box will appears. 3. Click on the "Open in new window". The image will appears in new window. 4. Now click the right mouse button, a dialogue box will appear, and select the "Save as image" option. 5. The image is downloaded successfully. 2. Click to right mouse button and Click to "save as image.."
Click here for the download in video process from this site. MS PowerPointWhat is MS PowerPoint Presentation? MS PowerPoint presentation is stands for Microsoft PowerPoint Presentation.Microsoft PowerPoint (or simply PowerPoint) is a presentation program, created by Robert Gaskins and Dennis Austin at a software company named Forethought. It was released on April 20, 1987, initially for Macintosh computers only. Microsoft acquired PowerPoint for $14 million three months after it appeared. This was the first Microsoft's Significant acquisition. PowerPoint became a component of the Microsoft Office suite, first offered in 1989 for Macintosh and in 1990 for Windows. The First beginning of PowerPoint is PowerPoint 4.0 (1994). From 1994, there are many latest updated version we get seen by which there are some few latest updated MS PowerPoint's are PowerPoint Mobile 2016for Android / PowerPoint 2016 for Macintosh / PowerPoint Mobile 2016 / PowerPoint Mobile 2016 iOS / PowerPoint 2016 for Windows / PowerPoint 2016 for Windows Store. Description of Gmail Dear Users, We only use the service of Microsoft named as Gmail which is stands for Google mail service. Gmail is first published, started or we can say in simple language made by"Paul Buchhiet" atmost 14 years ago on the date 1 April, 2004. Gmail started as al limited beta release on 1 April, 2004. and ended its testing phase on July 7, 2009. Gmail is a free email service developed by Google. User can access Gmail on the web and using third-party programs that synchronize email content through POP or IMAP protocols.